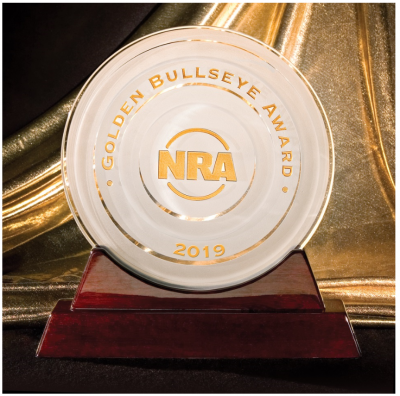 ANOKA, Minnesota - The National Rifle Association’s (NRA) Shooting Illustrated magazine will recognize Federal Premium Hydra-Shok Deep with its Golden Bullseye Award for 2019 Ammunition Product of the Year. Federal Ammunition representatives will accept the honor during 148th NRA Annual Meetings and Exhibits, April 26 to 28, 2019, in Indianapolis, Indiana. Shooting Illustrated is the NRA's newest official journal, with a focus on concealed carry, self-defense and tactical shooting. For its Golden Bullseye Award program, the magazine’s staff considers only products that are available to the public and meet or exceeded its testing-and-evaluation protocols. Candidates must offer a unique value to the American shooting public, whether by innovation, affordability or other stand-out qualifications. Hydra-Shok Deep was initially launched in 9mm Luger 135-grain. Recently, it has also been released in 40 S&W 165-grain and 45 Auto 210-grain, in 20-count packs. All will be on display during the 2019 SHOT Show (Booth No. 14551), January 22-25, 2019 at the Sands Expo Center in Las Vegas, Nevada.